Available while stocks last in single. 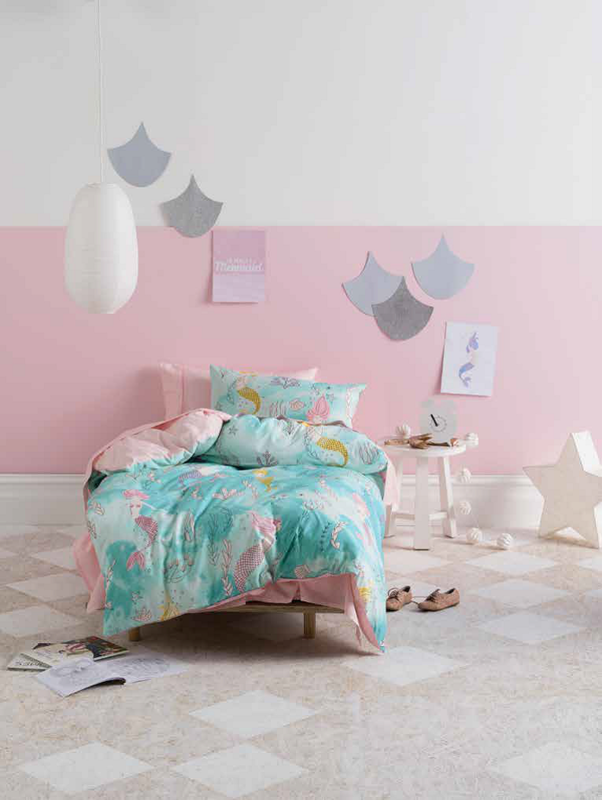 Explore the depths of the ocean with this Fishtale Duvet Cover Set and these fabulous mermaid friends! These beauties, patterned with coral and other undersea life in blue and pink hues is already hugely popular with the young ladies!